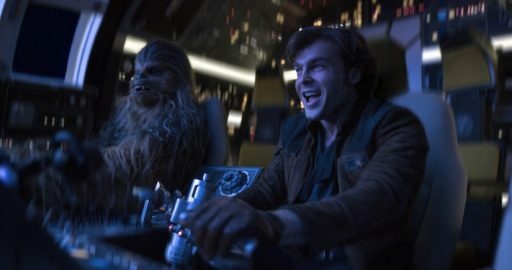 Not too recently and not that far away at a panel at the Las Vegas Cinema Con where movie studios attempt to wow theatre-chain owners with upcoming blockbusters, Disney screened an extended sequence from Solo: A Star Wars Story of the first meeting between the Han Solo (Alden Ehrenreich) and Lando Calrissian (Donald Glover). 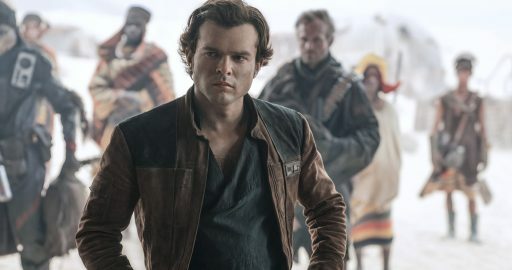 The six minute clip opens with Han and Chewie in need of a ship with Qi’ra (Emilia Clarke), who says she knows a smuggler-turned-sportsman who may have a ship that will fit their needs. The catch, to win a game at a high-stakes Sabacc tournament against said sportsman. 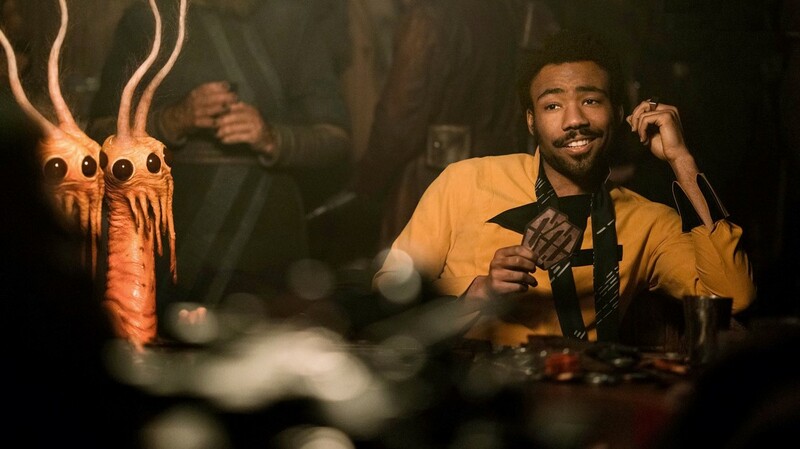 (Ohhh I’m getting some Casino Royale vibes here) That smuggler-turned-sportsman is none other than Lando Calrissian (Donald Glover) Warning Han: “Everything you heard about me is true” in the smoothest way possible. 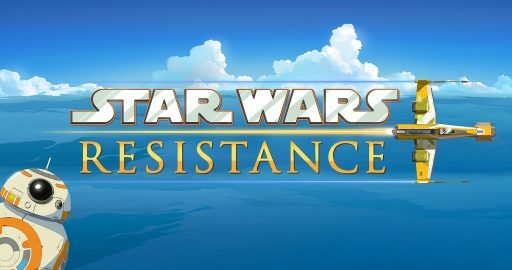 “Claiming” to own his own extremely fast ship and having little experience in the game of Sabacc, Han enters the high-stakes tournament. And whaddya know he’s a natural at the it, Han starts winning hand after hand, piling the chips. This game is fun!” he exclaims as a bit of cocksurety flashes. As Han’s chips mount up, the cool Lando begins to lose his cool. Then Solo goes all in, pushing all his chips into the centre. And that was it, the six minutes were up. So that’s all you’re getting until May. But on the bright side, despite the negative buzz of reshoots and the firings of both Phil Lord and Chris Miller the footage that was seen (by Ron Howard) was well received. Which is a good sign. 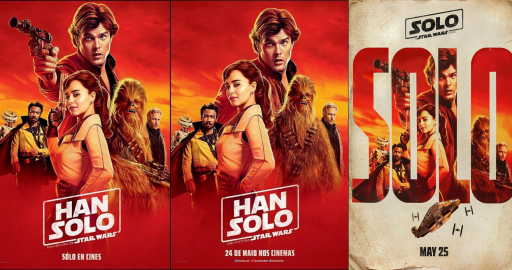 And if well received by audiences and fans on May 25th, Ron Howard will be known as the man who saved Solo: A Star Wars Story. As a quick note, Disney also showed off a new Ant-Man and the Wasp trailer, teased Tim Burton’s Dumbo and screened the beginning sequence from Pixar’s Incredibles 2 (can’t wait for that) during the Cinema Con event.